What are the BEST restaurants in Salt Lake City? Who makes a good breakfast downtown? My wife and I are celebrating our anniversary tonight- where should I take her? Where can I go for the best burger? 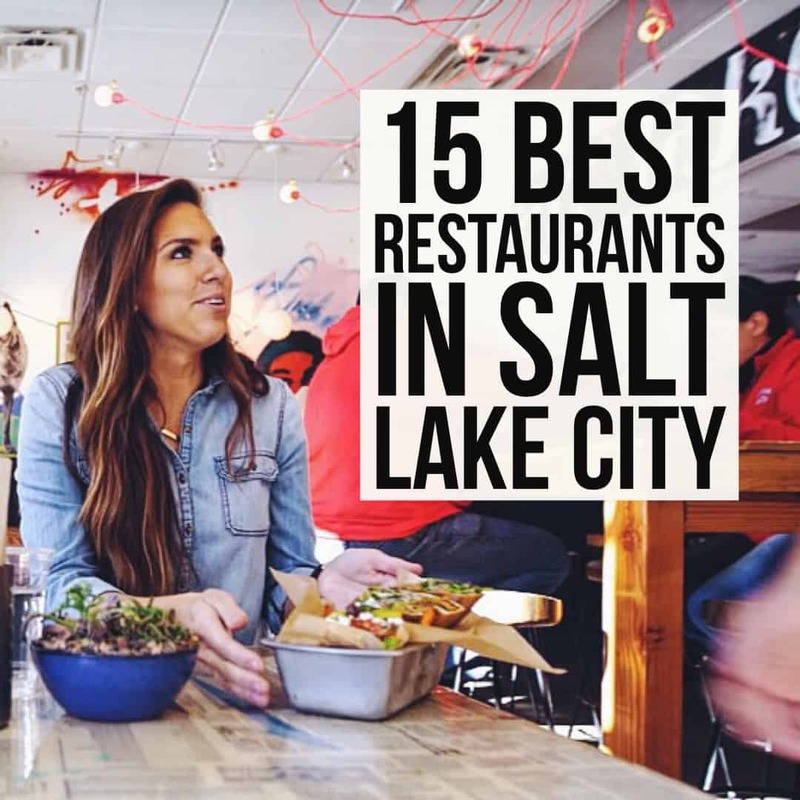 All questions we get asked on a daily basis, which is why we are simply elated to bring you this list of the 15 Best Restaurants in Salt Lake City. This list of best restaurants in Salt Lake City is brought to you with hours of deliberation, thought, and 100% unbiased honesty after sampling culinary offerings in the valley for over 20 years. Each of these restaurants are tried and true- places we have dined at several different times, trying as many menu items as possible over the passing months and years. This list is not a comprehensive list of all great restaurants in SLC, but rather our absolute favorites. 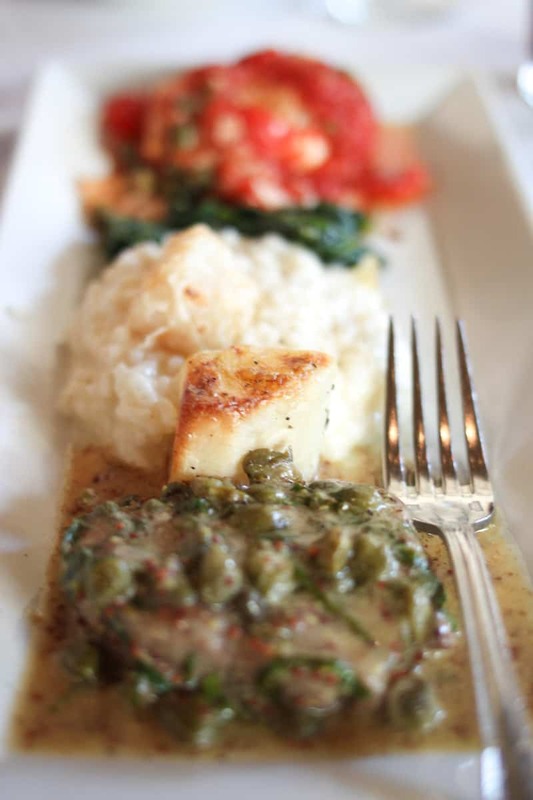 We hope you’ll enjoy dining at the best restaurants in Salt Lake City! 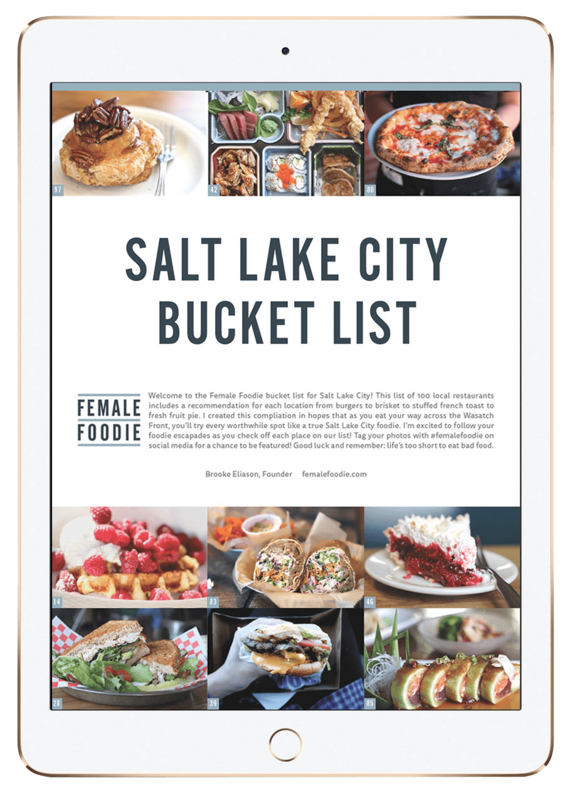 If you’re interested in more Salt Lake City restaurant recommendations, be sure to check out our free bucket list of 100 restaurants to try in Salt Lake City! Please note that this post is updated annually at the beginning of each year. 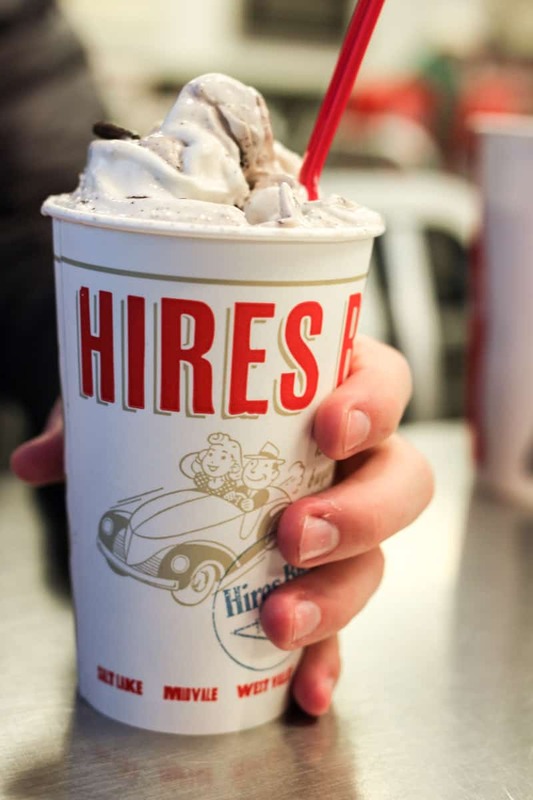 Hires is one of the best restaurants in Salt Lake City because they have mastered the classic diner burger that hits the spot every single time. 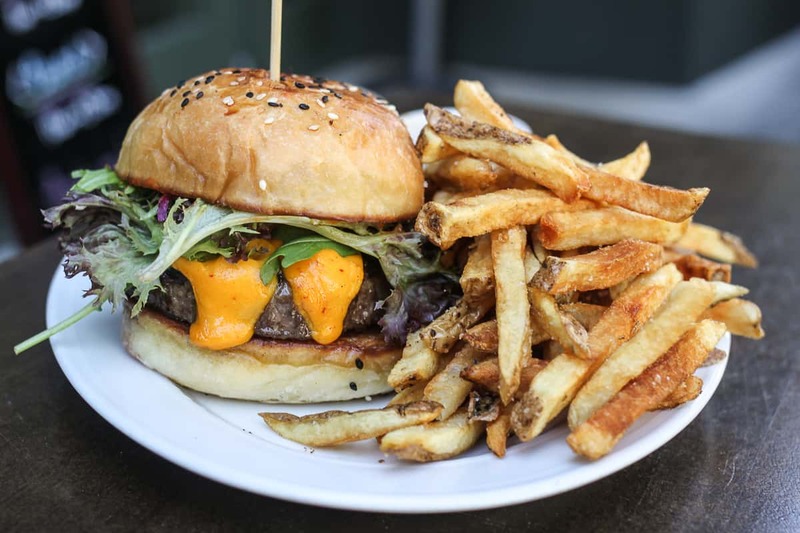 Their burgers are no frills- just a classic, darn good burger made of ground chuck hamburger topped with fry sauce, lettuce, tomato, and American Cheese. The service is always fantastic and the place is constantly packed- a surefire way to sniff out the good food. If you don’t order a Big H with cheese fries and an Oreo shake, you are doing it wrong. When it comes to the best restaurants in Salt Lake City, healthy and delicious is possible at The Protein Foundry. This is unquestionably our top pick in the Salt Lake valley for health conscious food that actually tastes good. 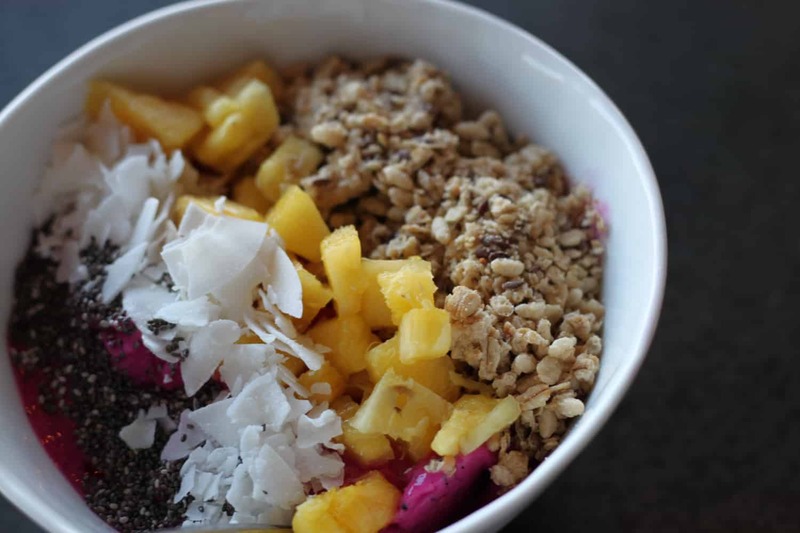 Drop by after a workout at one of their three locations (South Jordan, Cottonwood Heights, or Draper) for a protein shakeout or stop by for lunch or dinner and feast on the acai bowls, gourmet toasts, and greek yogurt bowls. 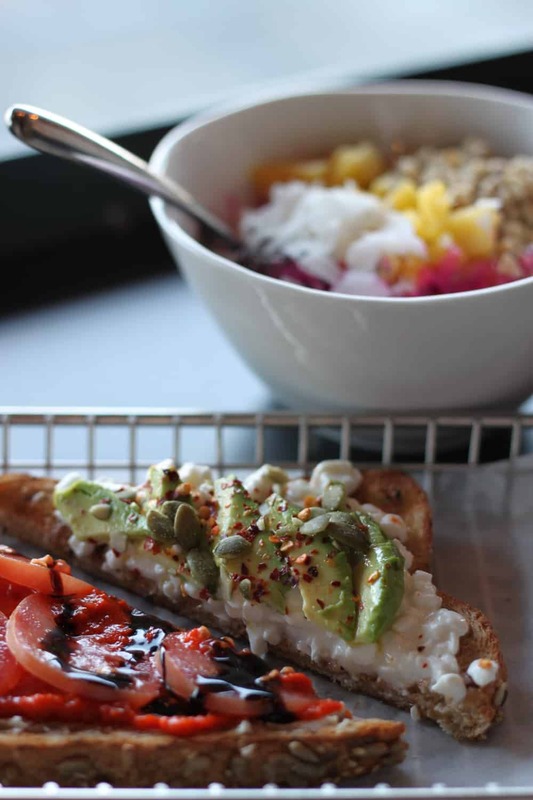 Our favorite menu items are no doubt the Cali gourmet toast and the Rio acai bowl. 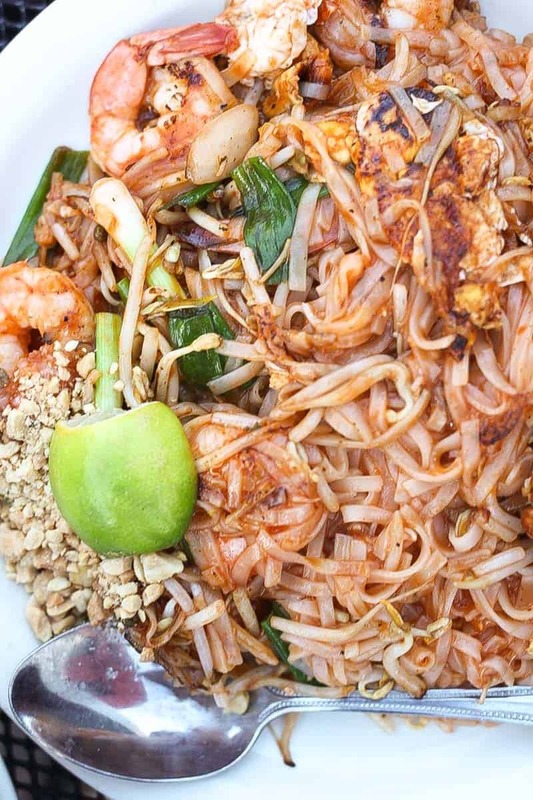 There are plenty of dining options in SLC when it comes to Southeast Asian food and in particular, Thai cuisine, but the best restaurant for Thai food in Salt Lake is Sawadee. Located right on South Temple, Sawadee is perfect for any occasion- casual lunch, birthday dinner, takeout, or date night. You can be as mainstream or adventurous as you’d like, but know that our favorite menu offerings are the chicken satay, fresh spring rolls, coconut soup, orange chicken, and green curry. Owners Tanner Slizeski and Josh Hill fell in love with the Mediterranean döner kebab while studying abroad in Europe and brought this creation to SLC in 2013. 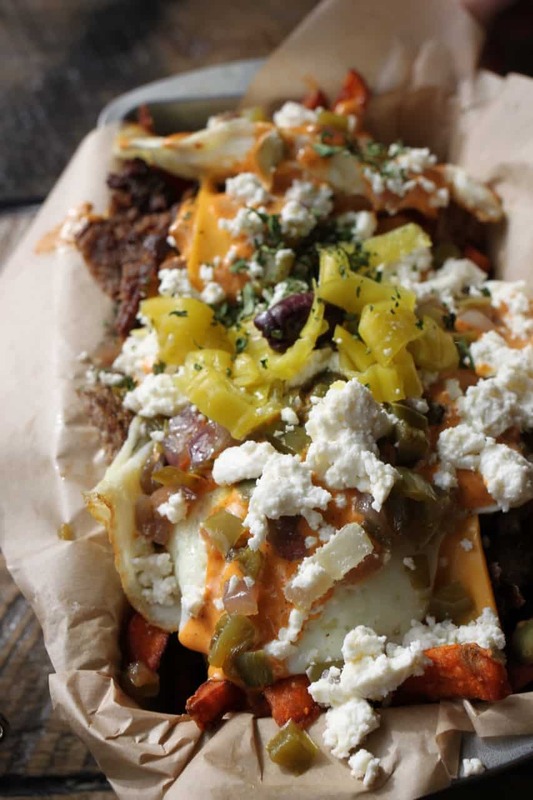 The street cart fries with “the works” (make sure to order sweet potato!) is one of the BEST meals you can find in SLC. 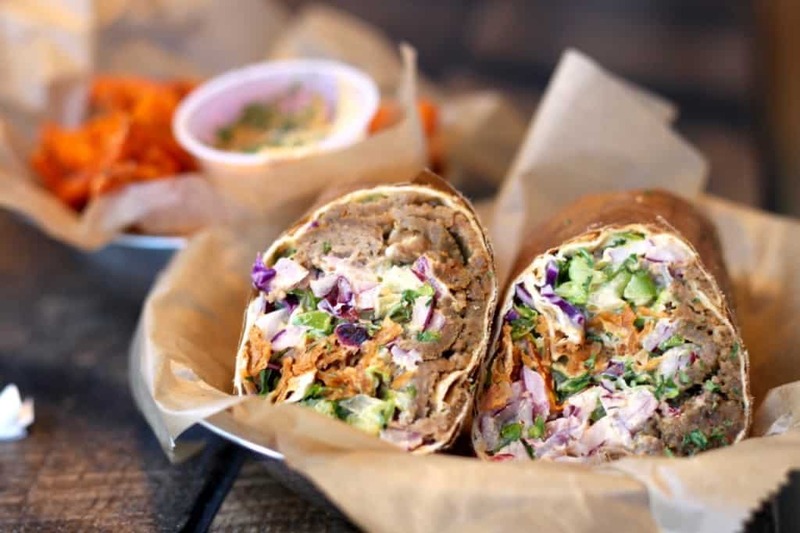 If fries aren’t your thing, the street cart doner is a close second. Be sure to check out their Sugarhouse and recently opened Cottonwood Heights and Draper locations if you’re in the neighborhood! The best bakery in SLC also qualifies as one of the best restaurants in Salt Lake City because they make a dang good breakfast and lunch if you decide to not make a meal out of pastries alone. Tucked away between 8th and 9th east on 700 south, this small but unforgettable bakery serves incredible French baked goods that will make your heart sing. If you’re here for breakfast get the brioche french toast or croque monsieur with a sticky bun. Visiting for lunch? Get the mozzarella, tomato, and basil sandwich warm with a side of homemade soup and a chocolate bouchon. 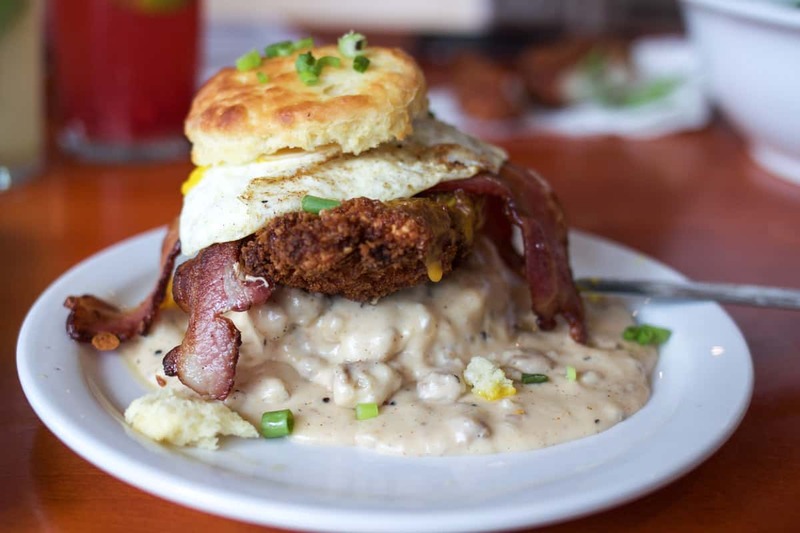 If you’re in Salt Lake City and haven’t stopped at Sweet Lake Biscuits & Limeade it MUST be your next spot for brunch! Most Salt Lake City farmers market goers will recognize the hard-to-miss beautiful limeades filled with fresh mint leaves and thick lime wedges, but what most of them won’t know is that this brunch is (not for long) one of the best kept secrets in town! 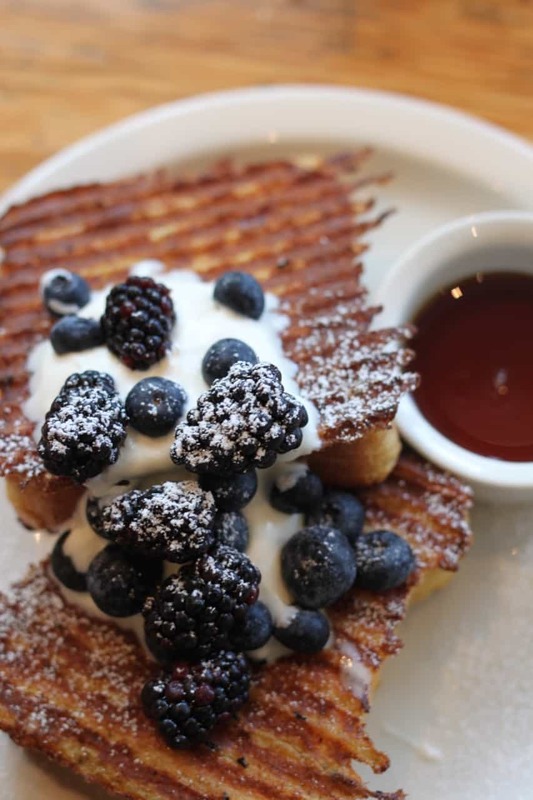 Sweet Lake Biscuits & Limeade has a variety of breakfast options ranging from a handful of biscuit concoctions to organic wheat pancakes to an open-faced sourdough toast with asparagus, egg, and parmesan. Our strong suggestion is to take the owner’s advice and order The Hoss. You won’t regret it. 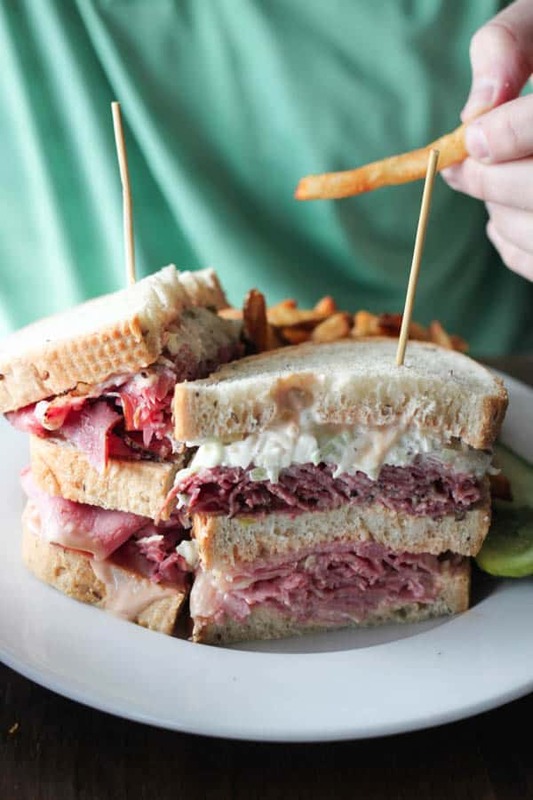 If you’re looking for the best sandwich in town, or better yet something like you’ve never tasted before, zip on over to Feldman’s Deli for one of the best bites you can have in all of Salt Lake City. 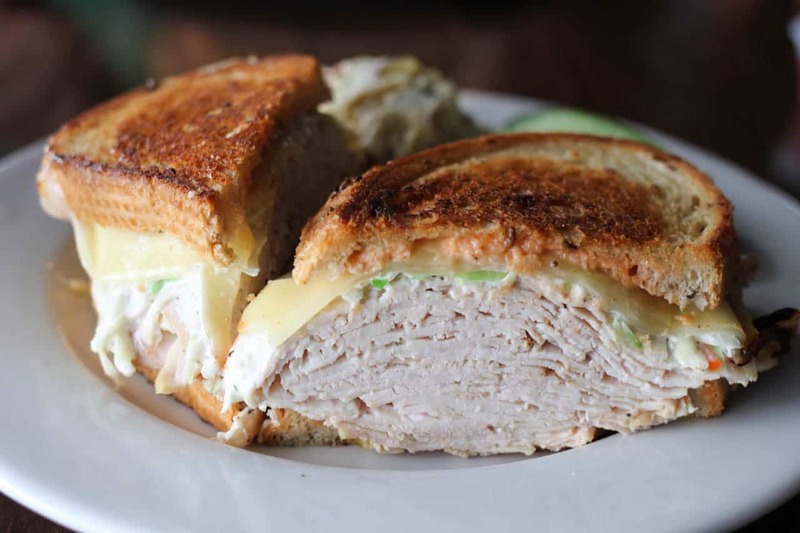 Feldman’s Deli is a New York style delicatessen offering a variety of traditional Jewish deli sandwiches alongside some of the more old time “classics” in a gorgeous, vibrant cafè setting. Make sure to try the Sloppy Joe (their most popular sandwich) or the Trisha (my favorite) for your first time. 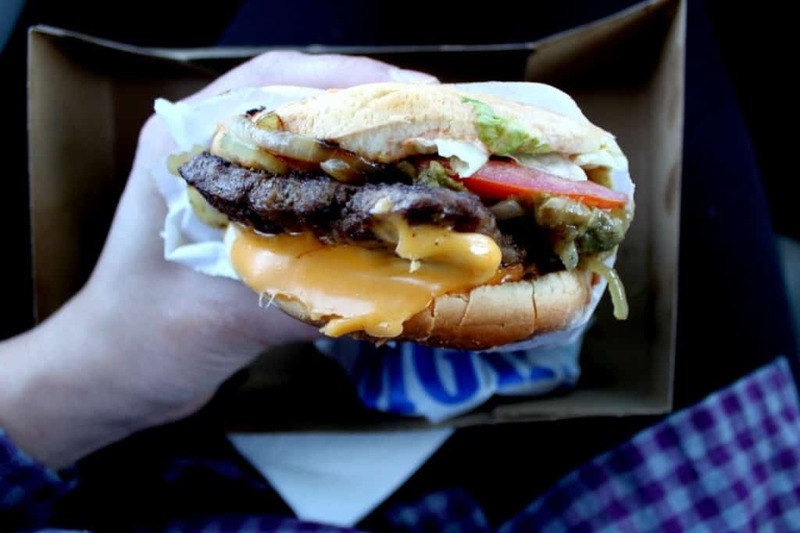 You’ll be simultaneously licking your fingers clean and counting down the days until you can come back! 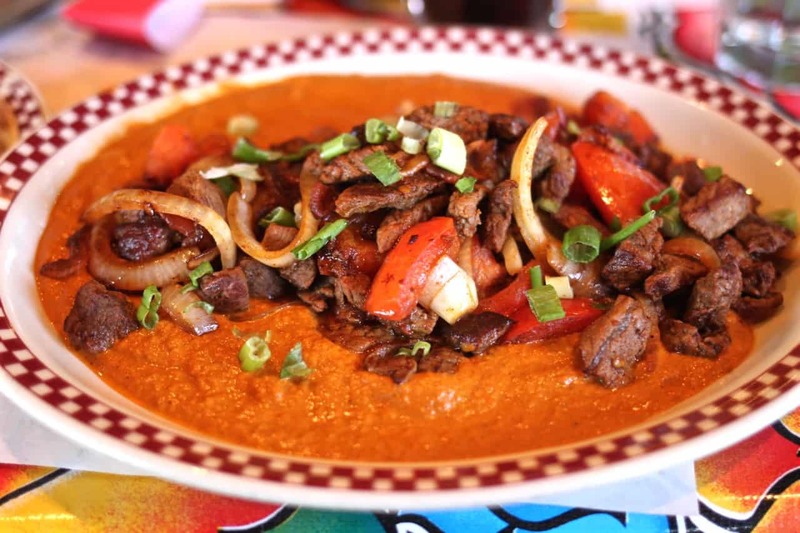 If you’re looking for the best Mexican food in Salt Lake City, take your friends and family to Red Iguana. This Mexican restaurant has an enormous menu with a following to match it (two restaurants within a 1/2 mile proximity from each other #word), undoubtedly some of the best food in Salt Lake City. We have eaten here more times than we can count and love their Puntas de Filete a la Norteña (#1 selling menu item, pictured above), Tacos Don Ramon, and the Red Iguana combination plate. While you’re looking at the menu, be sure to ask your sever for a side of guac and the sampler of their moles- a small plate of quarter sized samples of each mole they make in house! Their original location (Red Iguana 1) is located four blocks from the local Trax station which connects to the Salt Lake City International Airport. 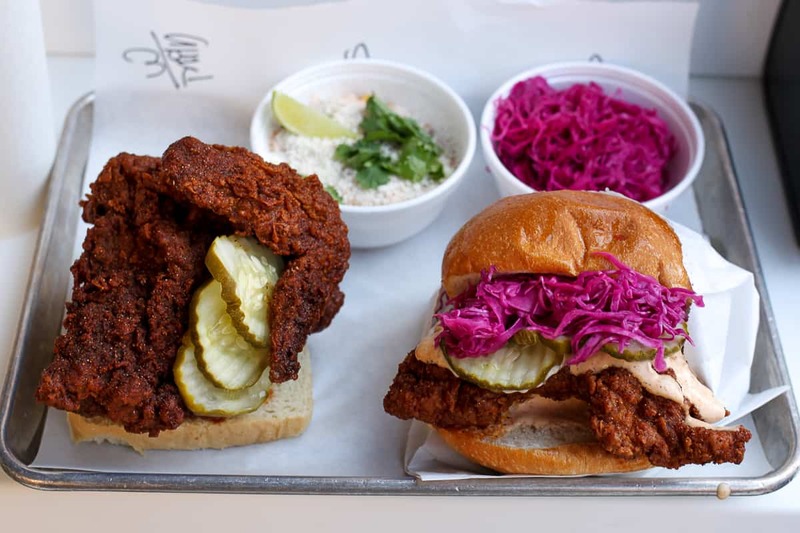 There were a lot of new restaurants that hit SLC in 2018 but the best above the rest was unanimously Pretty Bird Chicken. 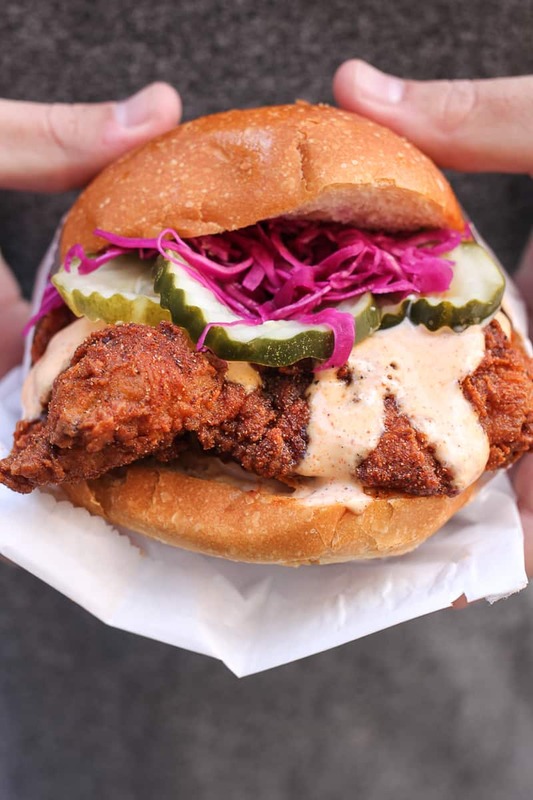 Opened by Chef Viet Pham (Iron Chef winner and former Chef at Forage) his clean and vibrant fast casual restaurant features one thing and one thing only: hot chicken. You only have two choices here but you can’t go wrong with either the fried chicken sandwich or the quarter bird. We recommend first timers try the fried chicken sandwich with a side of crinkle cut fries and a sugary soda to wash it all down. Come hungry leave glutinously happy. 5. From The Sea: Freshies Lobster Co. In the state of land-locked Utah fresh seafood isn’t always easy to come by. Lucky for SLC natives, Freshies (one of THE best restaurants in Salt Lake City) flies their lobster in from Maine fresh every single day. Freshies originally started with a food truck, and then opened a brick and mortar in Park City, but thankfully their brick and mortar #2 is right on 9th south near downtown. 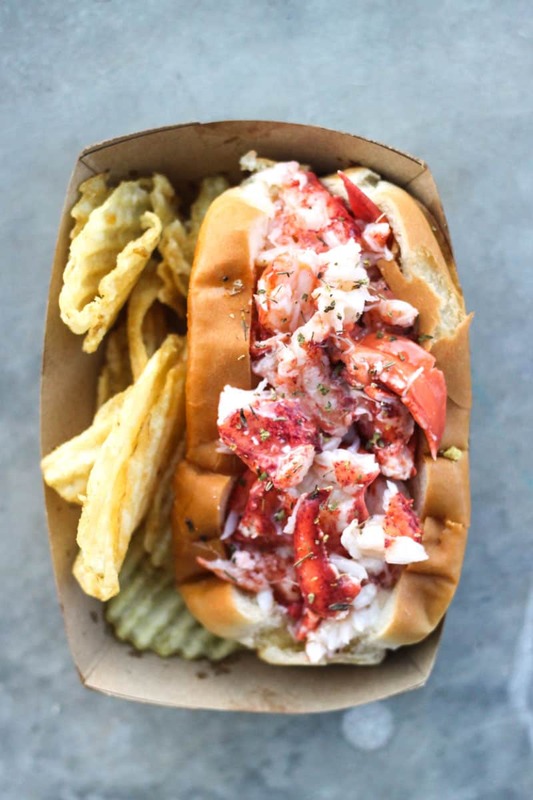 You’re unquestionably going to get the lobster roll here- delicious fresh Maine lobster served on a New England hot dog bun with mayo, hot butter, and seasoning. Simple yet sublime, this lobster roll will change your life. For the best pizza in town (and in the great state of Utah) I always recommend Settebello. 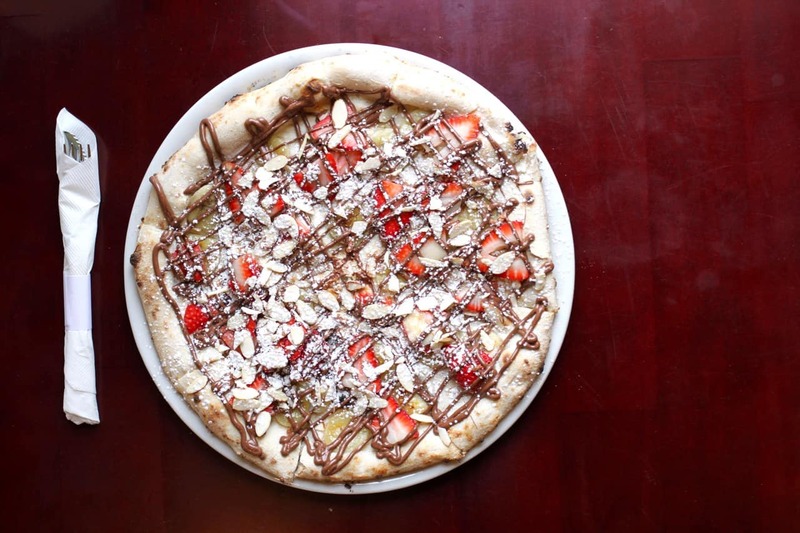 This restaurant became a reality after owners Mike Brooks and Brad Otton lived in Italy, became enamored with the art of authentic Italian pizza, and decided to bring it back to Salt Lake City. Since then their family-owned business has expanded to locations in Henderson, Summerlin, Oxnard, Pasadena, Marina del Ray, and Newport. Many of the serving staff at Settebello have been there for nearly ten years and are extremely knowledgable about the menu. Their #1 selling pizza is the classic Margherita and my personal favorite is the Diavola- picture red bell peppers, garlic, fresh mozzarella, and basil. Pizza = life. Settebello = the best there is in Salt Lake City. HSL provides one of the best American dining experiences you can find in Salt Lake City. The interior of the restaurant is absolutely gorgeous, their food is sourced locally, but above all their seasonal dishes are absolutely and phenomenally delicious. 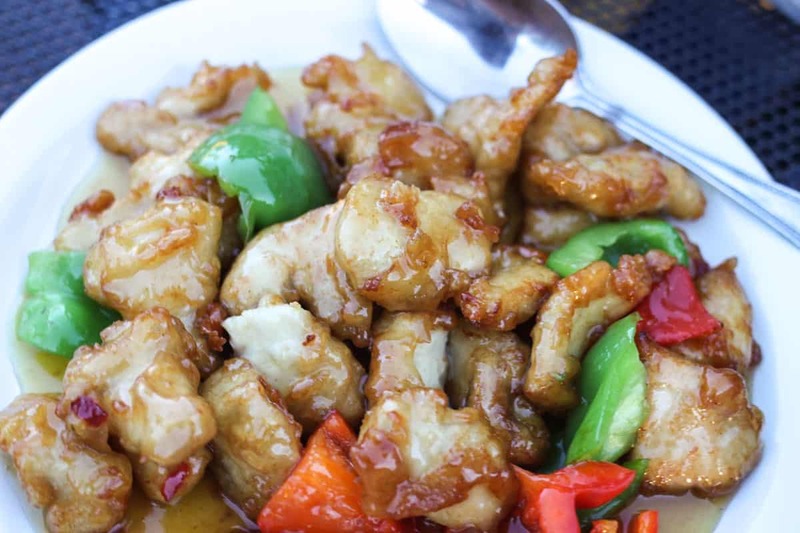 If you’re headed there for your first time we confidently recommend general tso’s cauliflower to start with and working your way down the menu with your server. This is a perfect spot for a weekend dinner, a great place to celebrate a special occasion with friends or take a client, and even one of our favorite spots for an exceptional burger. Unanimously the best sushi in downtown Salt Lake City. Takashi boasts a fresh and modern environment with fish flown in daily for some of the most delicious and addicting sushi rolls known to man. They are constantly packed- be prepared to wait (especially on the weekends)! 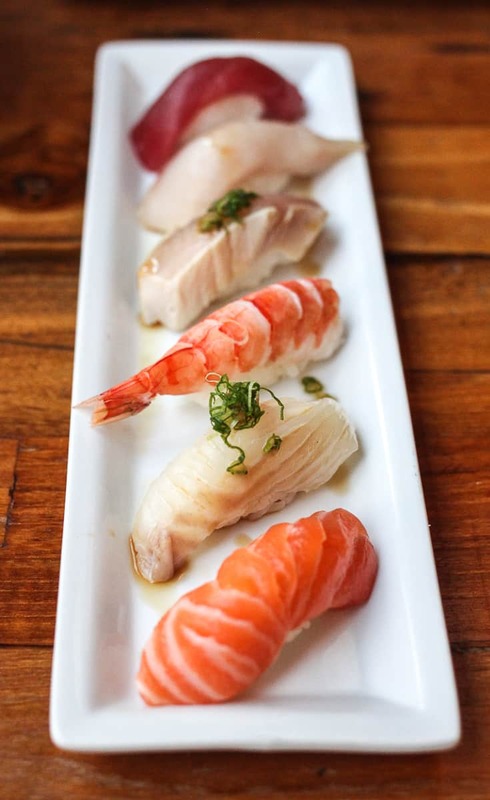 Favorite menu items include the azekura for an appetizer, the nigiri sampler for delicious nigiri sushi, and the crunchy ebi roll and the summit for our favorite sushi rolls! If you still have room, make sure to try their house-made panna cotta. Some of the best panna cotta you will ever have. Promise. If you’re going to splurge on one restaurant this year in Salt Lake City, make it a night at Valter’s Osteria for the best high end dining in town and the best of the best restaurants in Salt Lake City. Owner and founder Valter Nassi has created an authentic Tuscan experience that will quite literally transport you to his mother’s kitchen in Italy. Although his restaurant boasts an amazing menu filled with incredible authentic Italian dishes, we recommend allowing your server to take the lead for your incredible night out. 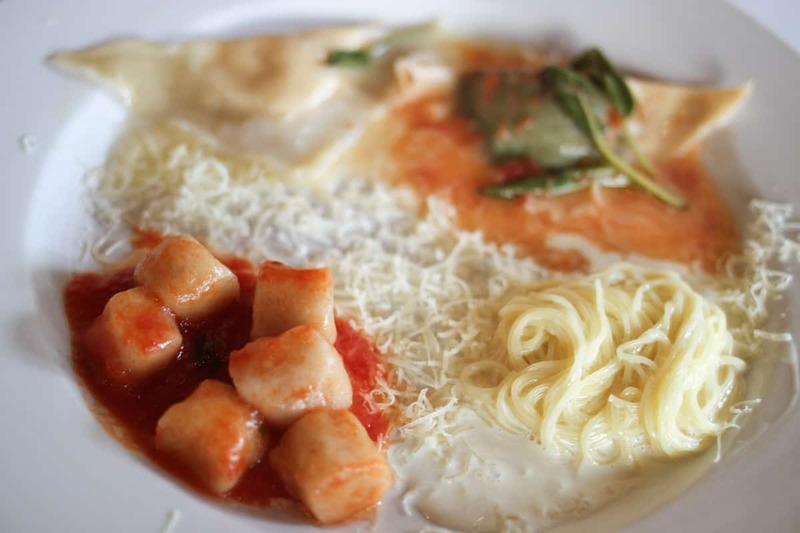 Make sure to read our full post on Valter’s Osteria for all the delicious details. Even Stephens!!!! 🙂 Love it. Let’s go here when you get back! You NAILED some of my favorites. Spitz especially, and TAKASHI! Bruges, Red Iguana, YUM< just tried Hires Big H this weekend. Even Stevens I am not sold on yet! I have to try Finca, and Tulie! Love this list, however, Crown Burger 4 Lyfe. Love the others on here though!! LOVE this list! SLC really has some incredible food. Great picks, Brooke! You haven’t lived until you go to grove market and deli. The biggest sandwich you’ve ever seen at a more affordable price. Aaron you’re the greatest (audible laugh at your comment)!! Thanks for the love. I’ll NEVER stop posting. Great list! Tulie Bakery is the only one I havent tried… And I’ve been stalking your blog the past few days and it sounds like Tulie is a MUST… I’m excited to try it. And I love your blog and trust your food recs because you love a lot of my FAVS. Thanks for sharing! I will definitely try some of those restaurants! Thanks for the thorough review. Well done! We’ve tried most of these places and love them too. Loving forward to checking out the ones we haven’t been to yet. Hires is also a long standing tradition in the extended Lake family. Go Utes! DIANE!!! You are so welcome. I knew that the Lakes would appreciate my loyalty to the ultimate Ute hangout! Love you and GO UTES!!! Ah! Mazza is delicious but not on my top ten list. What is your favorite thing to order there?? I would love to go try it! Hi Brooke, I’m coming in for a business trip in February and need a great upscale location with a private dining area for about 20 people. 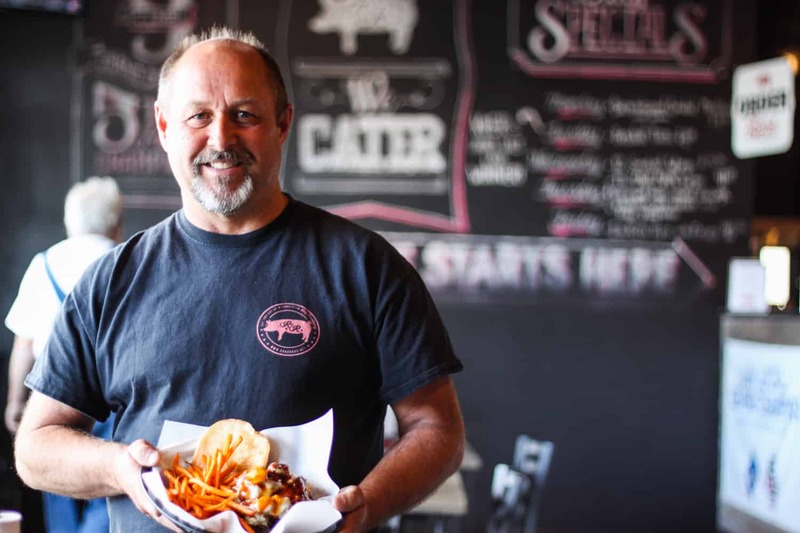 We’d like to see some and taste some of Utah’s best around Farmington or Salt Lake. Any ideas? Try Pago. Expensive but worth every penny! Thanks for the suggestion! Anything specific I should order? Thanks Brooke! I’ll be in town next week and will look into these suggestions! Any suggestions for a rehearsal dinner for 75-100 people that’s fun and casual? In Salt Lake area. Hi there! Let me brainstorm some ideas. 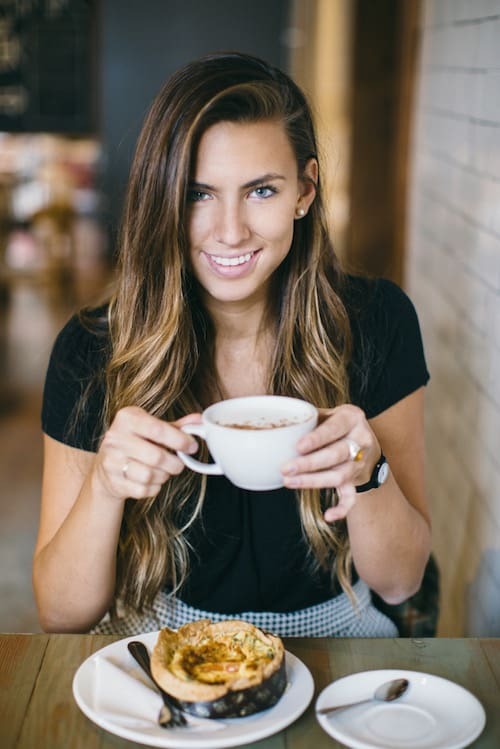 Would you mind shooting me an email at brooke@femalefoodie.com? Thanks! Just moved up to Salt Lake City last month and I am so excited to try some of these places! I’ve been to a few on the list and can say they are seriously great! Thanks for this! I don’t agree with red iguana, you might prefer to replace it with la frontera. It’s another Mexican restaurant but wth better food and is less packed. Living many years in San Diego, it’s tough to find amazing Mexican food. Frontera is often recommended but does not make the list! Chungas (a whole in the wall and extremely authentic) is fabulous and Red Iguana has great depth of flavor. Lone Star Taqueria is an awesome option too. Hi Celene!Thanks for your comment. I absolutely love Chungas, Red Iguana, and Lone Star- all of which are on my list of Top 10 Mexican Restaurants in SLC. Have a look and let me know what you think! Do you have any recommendations for kid/family friendly restaurants to try in SLC? Hi Angie! Being kid-less I haven’t put much thought into this one! I do, however, have a list of family favorites that we loved as kids growing up: Hires (casual environment, great food, lots of options), Rio Grande Cafe (juke box is fun for kids, plus who doesn’t love the levitating lady wrapped in a taco? ), and Ruth’s Diner (kids love the trolley car and canyon ambiance). When I was a kid I LOVED the training table- bad food but I thought it was so cool to call in my order from the table on a telephone. I believe they still have locations in Sandy and Riverton. One last suggestion would be Settebello. They’re definitely a more upscale dining option, but when I worked there several kids loved sitting at the bar to watch their pizza being made. They have an off the menu kids pizza option that most of my young customers seemed to really like! Hope that helps. Do you have any recommendations for UT county? 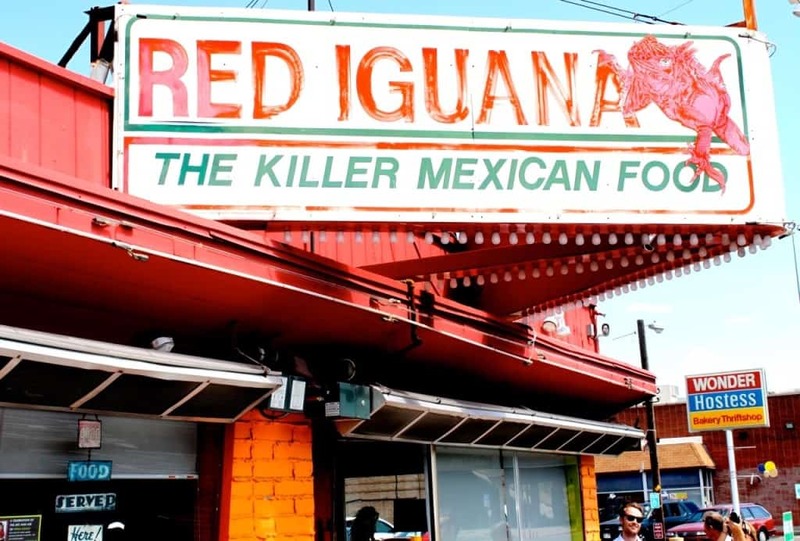 In my opinion, Red Iguana is overrated. Try Chile Tepin, in the Crane Building on the corner of 200 S. 300 W., instead. A couple that I would add..
Hi Katie- thanks so much for stopping by. I agree- Gourmandise is adorable. I must be ordering the wrong thing, though, because I’m not a big fan of their pastries. Any recommendations? Love Kyoto! 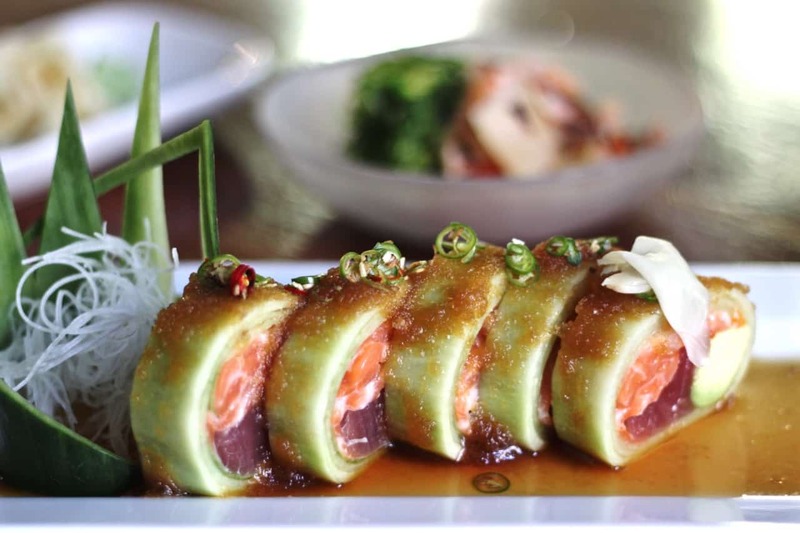 Didn’t put it on this list because Takashi is definitely our #1 sushi rec. Make sure to check out our list of Top 10 Sushi Restaurants in SLC for our full list (and mention of Kyoto)! Wow, there are some amazing looking places to eat on this site. I just happened upon it while researching places to eat for my upcoming trip to Salt Lake City. I read somewhere that Utah is known for deep-fried scones. If this is true, where should I go to get them in SLC? Hello Brooke! I love your list but have you ever tried SOMI Restaurant? In in Sugarhouse area and their pho is the best in town! Hi Brooke – Would love to share this list in my newsletter for places to go when the restaurants in Park City close in April. Can I include it? I am a realtor in PC. Love this list and my daughter and I LIVE for Tulie on the weekends! Thank you! Hi Kerri! Of course you can include it- thanks for asking. I hope it’s helpful to your readers! And LOVE Tulie! 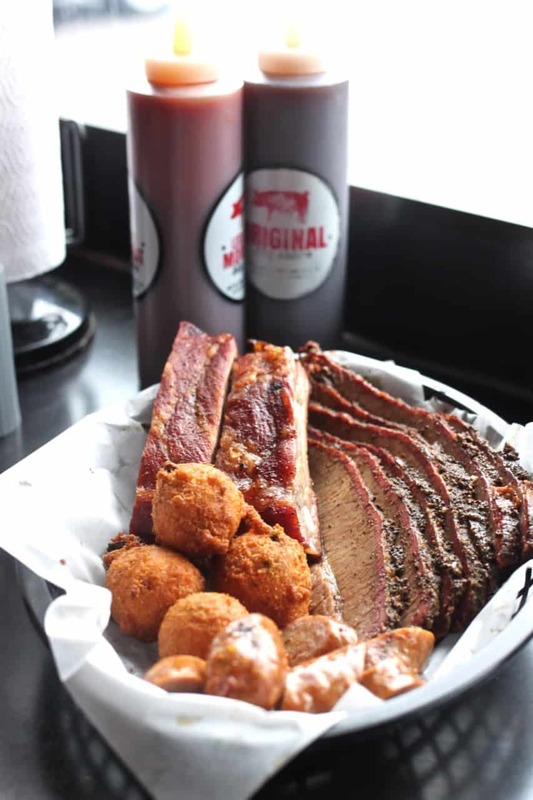 Did you know they’re opening an additional location in the 15th and 15th neighborhood? So exciting! You are a delightful lighthouse to all gnoshers of the Salt Lake City area and beyond! Your new list here is intriguing and if it is as good as your last list that we placed our bets on while in the area, all I can say is….Brilliant!!! 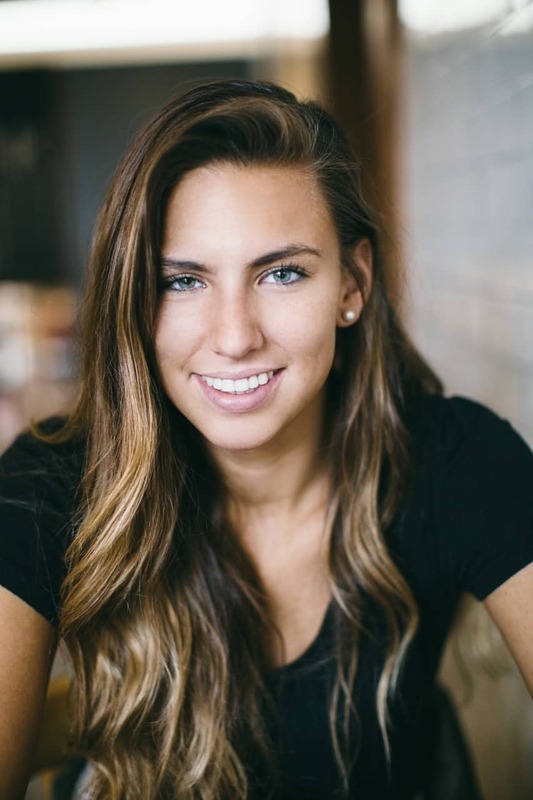 Thanks for a great blog and outstanding tips Brooke! You named a lot of my favorites, especially a Red Iguana. Thank you Katie- we love Red Iguana!! Needed this list! I moved to Salt Lake a few weeks ago and have been on the hunt for all the good food. So excited to try these places! Great list. Valter’s is the best thing that ever happened to Salt Lake City. I think El Paisa on 3200 West is better Mexican than Red Iguana. If you haven’t been there, you should try it! Couldn’t agree more on the recommendation for the Red Iguana! We are not locals and took your advice and were well rewarded! A+ for authentic Mexican food. Hi Jon- thanks so much for your comment and SO happy that you liked Red Iguana!! It is definitely one of our top favorites! These are great recommendations – and Even Stevens is included – but some places with vegan offerings would also be appreciated! Keep up the good work! My blog isn’t vegan focused, but you could try a marinara pizza from settebello- delicious! 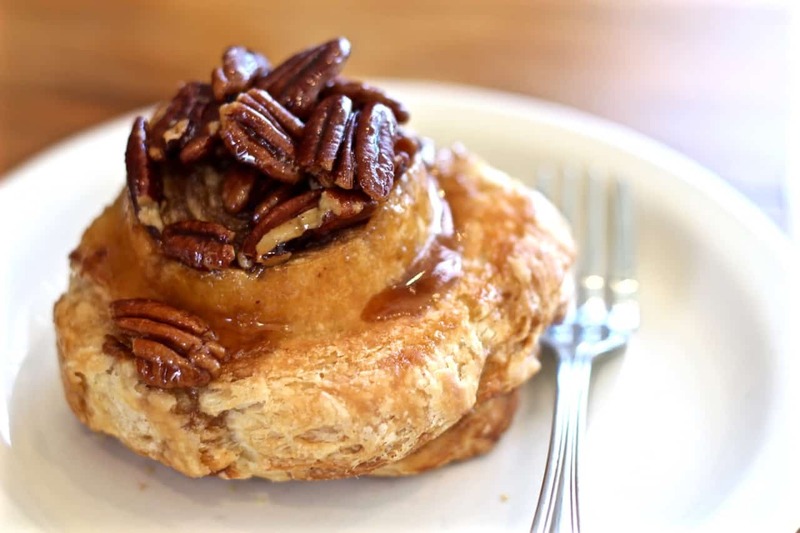 Check out city cakes bakery as well for great vegan options. Love the list except for The Red Iguana. Do not understand why so many people love it. Hi there, I’m excited to try some of these places on your list, thanks for sharing! Have you ever tried or been to Provisions? Excellent food there too. Hello Stefani! Thanks so much! I have been to Provisions but it has been a while. I wasn’t terribly impressed but it was Valentine’s Day, which I don’t think is a fair day to try a restaurant for the first time. I’ll have to go back! 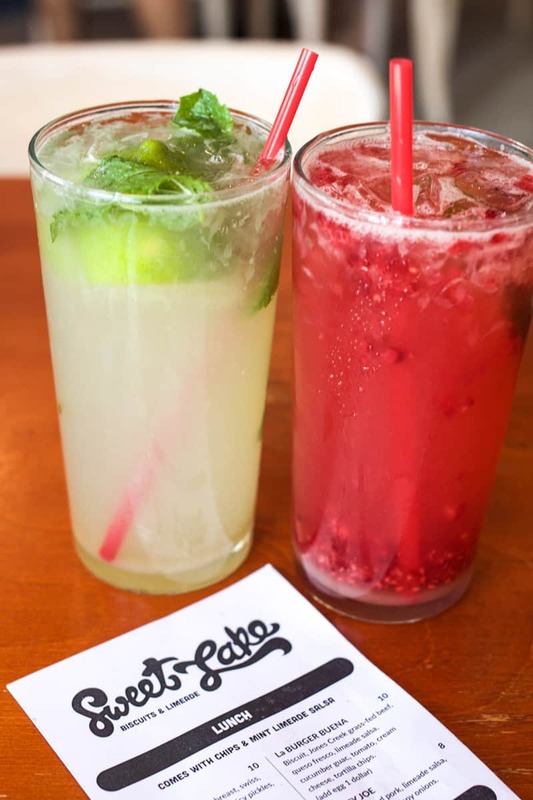 My husband and I recently took a quick trip to SLC, and we really enjoyed your recommendations from this list with one notable exception – Settebello. We do not understand the hype. From the moment we walked in I thought we were in the wrong the place – cheesy decor, disheveled setup, and slow/unattentive service. And the pizza was…. not good. Soggy center with sparse toppings. We each only ate one slice and left the rest, and our server never bothered asking how it was. I’m posting this very honest review because everything else we tried from your list was exceptional: Feldman’s, Red Iguana, & Sweet Lake. So thank you for those gems! Also, if you’re ever in the Tulsa you should definitely try Andolini’s Pizzeria and East Village Bohemian. Cheers! Hi Amanda- thank you so much for your thoughtful comment and so glad you were able to visit SLC! Sorry that you did not enjoy Settebello- the soggy or “wet” center is actually a distinctive characteristic of authentic Neapolitan pizza. This is why most people in Napoli eat their pizza with a fork and knife. 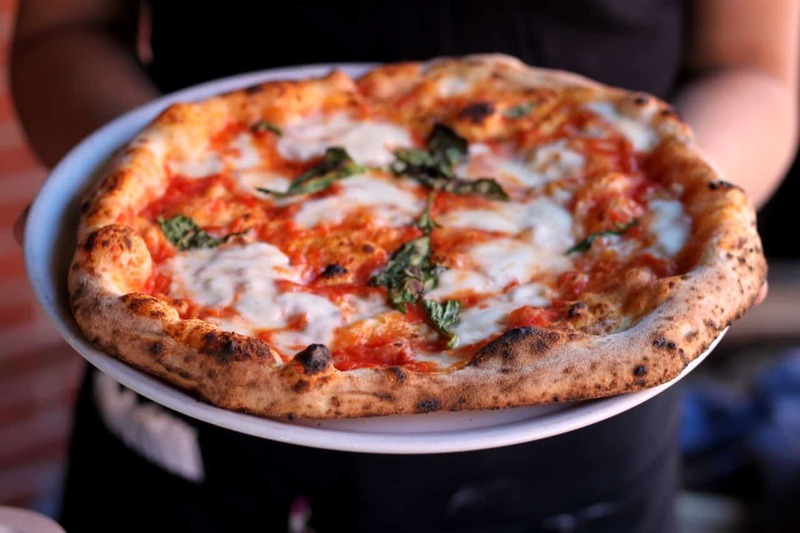 Neapolitan pizza is also not meant to have a lot of toppings so that it will cook evenly in the wood fire burning oven. In my opinion there are few things better than a Neapolitan pizza, but if you went to Settebello expecting something more like a NYC slice, I can see why you’d be disappointed. I’m really happy that Feldman’s, Red Iguana, and Sweet Lake were positive experiences for you! Thank you so much for the Tulsa recommendations- I appreciate it and can’t wait to check them out.